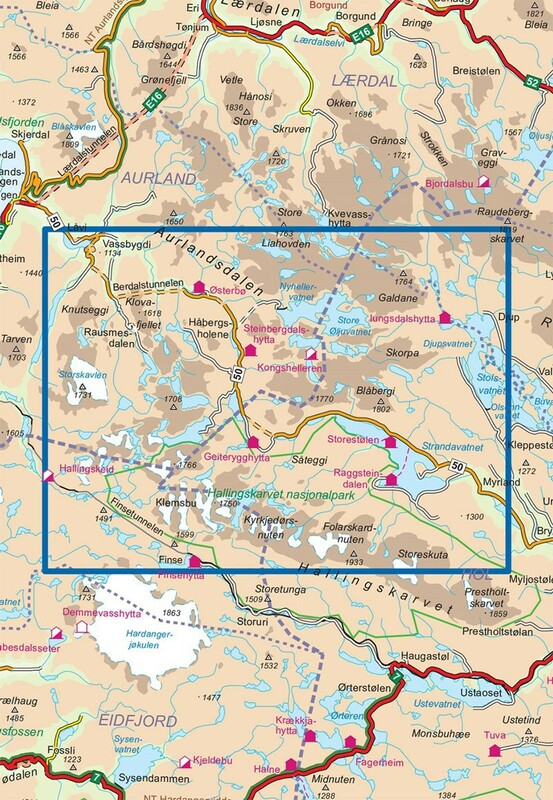 The map of hiking and outdoor Skarvheimen at 1: 50 000 covers the area of Geiterygghytta, Kongshelleren, Iungsdalshytta, Storestølen, Raggsteindalen. The south boundary is: a part of the massif Hallingskarvet, in the South: Finse, at East: Hallingskeid, in the North-West: Aurlandsdalen valley and Vassbygdevatnet Lake. Four ideas of hiking or backcountry skis topos are offered in front of the map. Legend in English. 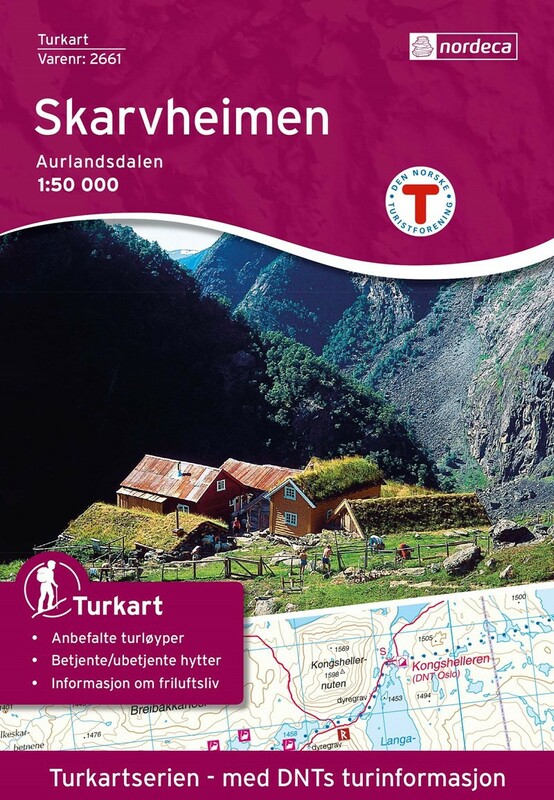 Skarvheimen map is compatible with the GPS (UTM grid).